It was approximately 11 p.m. when police responded to a call about a large fight that had broken out near First Avenue North. Before the responding officers were able to reach the location, a man who witnesses described as a large black male dressed in dark pants and a light shirt drew a gun and fired three times. The shots struck Keith Williams. It’s the belief of the police that after the individuals who took part in the fight, hurried to the motel’s second floor after the shots were fired. It was here that a second offender fired on the crowd. Three of those shots resulted in the loss of three lives. At this point, police believe the second shooter fled the motel via the rear exit. 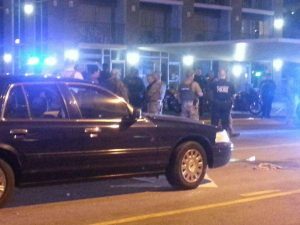 The victims have been identified as Jamie Williams, 28, Devonte Dantzler, 21, Sandy Gaddis Barnwell, 22. In addition to investigating the fight and the shootings, police arrested two individuals who were involved in the scuffle on charges related to the investigation. 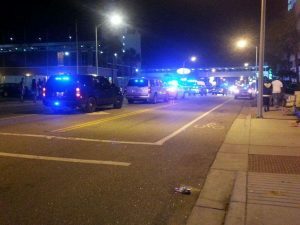 The shooting represented one of the five different shootings that took place in various Myrtle Beach locations during a 48 hour period. 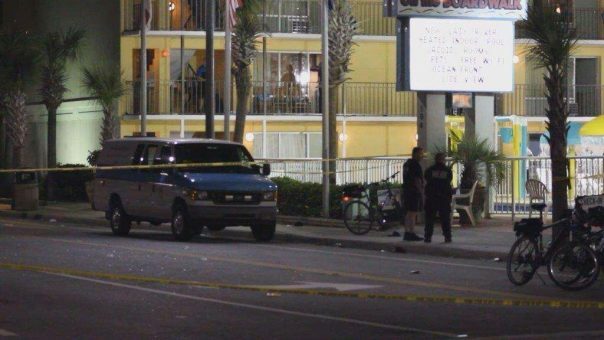 Myrtle Beach’s Mayor, John Rhodes was upset when he learned of the shooting. A video of the shooting was posted to Instagram via an anonymous account. The police stated that they’re aware of that video and would appreciate it if anyone else who has video footage would come forward with it. “There’s no excuse for there to be so many shooting in such a short period of time,” said Joseph Sandefur, managing partner of Joe and Martin, a top personal injury firm with an office headquartered in Myrtle Beach. “I believe that the city would be much safer if local businesses would realize that they’re responsible for the lives of their customers and invest in proper safety precautions, such as surveillance cameras and professionally trained security teams.